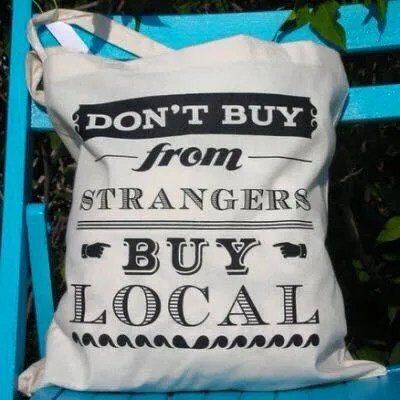 Here’s a gem- pick a day of the week and eat only local foods for that day each week. I came up with Wednesday for mine. I was trying to figure out how to fit “local” with a day of the week and the closest I could come was wacky Wednesday (local-loco- wacky). But it was a huge stretch. I honestly don’t know how I came up with Washington Wednesday but whether you like it or eye roll, I think it’s going to stick. Several things inspired Washington Wednesday. Barbara Kingsolver’s book “Animal, Vegetable, Miracle” had its influence. Meatless Monday definitely helped with the idea. I guess I’ve been wanting to dedicate a day to eating clean and green. And while I forgot to take pictures of our food tonight, I can assure you we ate very well! Salmon with farro and onions for dinner. I had chicken and potatoes for lunch, apples and yogurt with honey for snacks, and oatmeal topped with egg for breakfast. Not too shabby for winter in Seattle. As the months grow warmer, our choices will grow exponentially- and I’m going to try to grow some of our own herbs and vegetables this summer. Simple things like zucchini, tomatoes, and mint. I would love to see this idea take off. 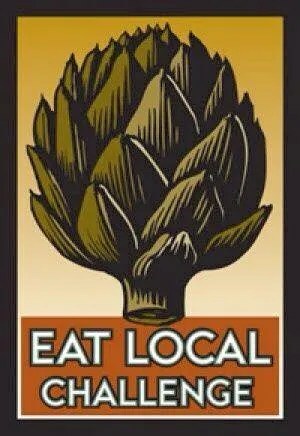 I know in August, September, and October many places hold a month long eating local challenge. I’m going to try to do that, especially later in the summer or early fall. A whole month of salmon and Dungeness crab? What could be wrong with that? But I had a moment of gratitude for a day challenge like this when there were goodies in the office at work (I know, I finally got off my lazy arse and came in to work- enough practice sleeping and drinking tea!). I was tempted so bad, but trying to keep the spirit of then challenge of eating only local foods kept me from caving. And while I could have had a lot more to eat at work, I wanted to succeed, so I didn’t snack on extra food or sneak a little treat. It was a Washington Wednesday miracle!! I think I found my trick to eating healthy everyday- weekday food challenges! If I can come up with a challenge for each day of the week, then I won’t be tempted to eat junk food! Simplify Sunday (my Monday): everything you eat can only be wit pure ingredients. Nothing more than one to two items in each ingredient. So, bbq sauce- out. But making my own vinegarette with olive oil lemon and spices is okay. Okay, that’s all I could think of. Well I have an idea for Thursday but it’s pretty lame. Back to locavore days. I know you all don’t live I washington so Wednesday’s may not work for you..